For those unfamiliar with the brand 'Essence', it is a German cosmetics brand, and their products can be found at Ulta, Shoppers Drug Mart, Walgreens, etc (complete list here). All their items are under $5 CDN!! 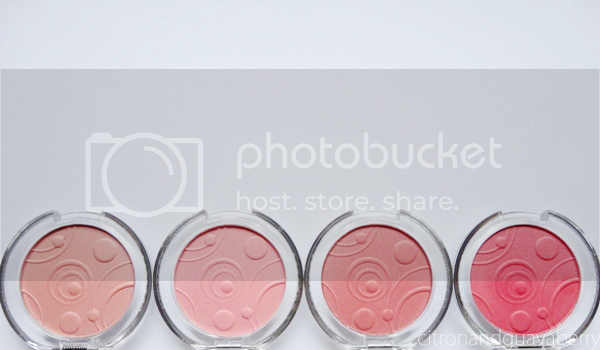 These blushes come in a basic, clear plastic compact with no brush or mirror, and cute little orbits (I hope they're orbits/solar systems!) embossed on the product. Packaging and product are pretty sturdy—I've accidentally dropped ...'a few' from a decent height and experienced no cracking. All shades have minimal shimmer. Let's start with the pros, shall we? Essence did not mess around when they named their blush 'Silky Touch', because it is the softest blush I've ever had the pleasure of swiping! Ever feel those high end, super buttery, super pigmented eyeshadows (think UD, Lorac)? This feels exactly like that. The deeper shades of this line are also ridiculously pigmented, with little fallout, and you know what the best part is? THEY ARE LITERALLY $3 CDN (ok well, $2.99) EACH. THREE. DOLLARS. RIDICULOUSLY UNDERPRICED. When I first saw these blushes, I immediately thought, "Uh, why are these so small?". Surprisingly, they contain 5 grams of product, which is more than Wet N Wild's blushes (4 grams), Milani's baked blushes (3.5 grams), and Bourjois blushes (2.5 grams), and they're cheaper too! These will actually last all day long on the skin without looking powdery, and are quite blendable. But then, there's also cons! 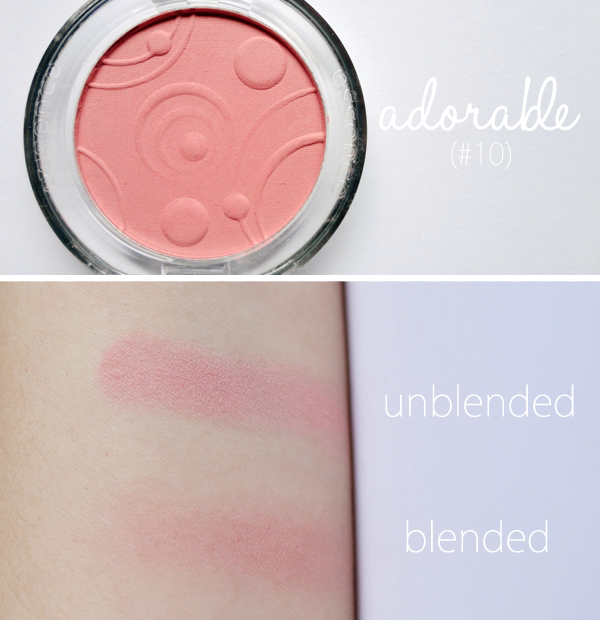 In my opinion, the formula for this blush is perfect. However, I do have issues with the lighter shades of this line. It's not that they are not pigmented enough, it's just that they're just very light colours in nature and I wouldn't recommend the lighter shades for darker skintones because they will not show up. 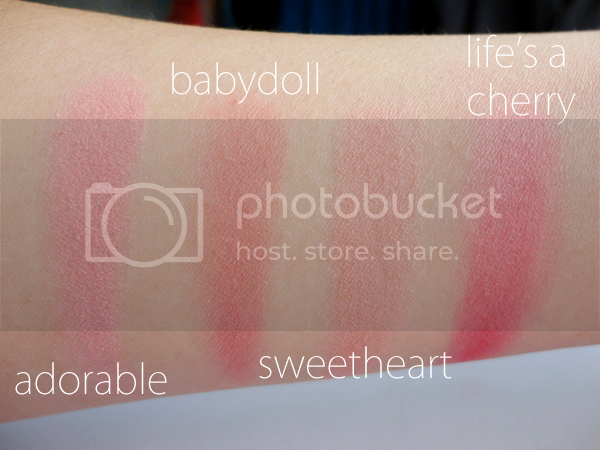 Going on that point, I wish there are more shades released (and a larger shade variety) because 'Adorable' and 'Sweetheart' are really light, which means those of darker skintones only have 'Babydoll' and 'Life's A Cherry' to choose from. 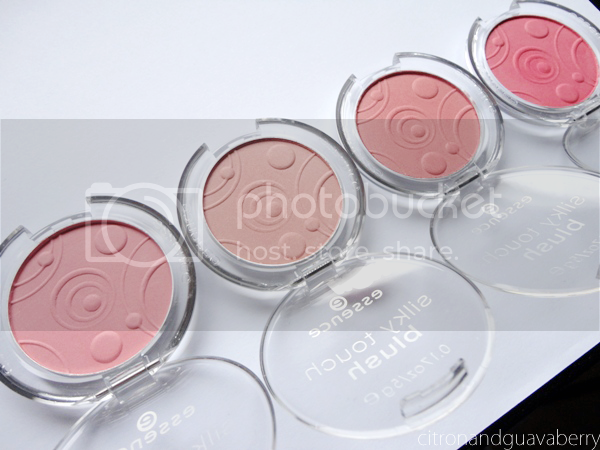 As a I mentioned before, these blushes are ridiculously pigmented, so you might accidentally overapply. Make sure you use a light hand! If you do accidentally overapply, what I usually do is use the back of my hand and gently rub the blush towards my ear....like a cat...IT SOUNDS WEIRD, BUT IT DOES WORK TO BLEND/RUB OUT THE BLUSH. Alternatively, use a clean brush and buff out. Speaking of pigmentation, another issue I have with 'Life's A Cherry' is that it can be a bit difficult to blend, but what I usually do is use the back of my hand to sheer it out. TOO MUCH READING, LET'S SEE SWATCHES! You really can't go wrong with these (aka, I highly recommend!). I've already erased some of the embossing on the pans because they were just so darn soft and I could not stop touching them. If you are hesitant to buy these, I suggest you start off with 'Babydoll' or 'Adorable' anyways because they are my personal favourites and are ridiculously beautiful on the cheeks + you really can't go wrong with spending $3 on a blush! SO YEAH, THX 4 READING DIS FAR. In other unrelated news, I was never a fan of Halloween before, but for some reason, I'm totally digging it this year! I've even decorated my desk! baby doll looks so pretttyyy :O thanks for the in depth review! I'm glad they all show up and work so well on your pale skin! I think the only one I'd pick up is Life's a cherry, I really like my blushes super pigmented because its easier to add a bit that's more pigmented than to spend ages building up color (im a crazy blush person)! I heard they have some stores in the UK that now carry Essence, although not sure which ones! I HEARD THEY WERE LESS THAN $1 AT ULTA. RIDICULOUS. Now im definjtely picking these up!!!! They are all so pretty ! and glad they are pigmented enough ! ^___^ I heard they are very good for their cheap price . They are ridiculously excellent for their cheap price, haha! I've been looking for a good blush! I had never heard of these before!! these look amazinggg! They remind me of the MUA ones we have here which are only a pound but are pretty impressive! From the swatches I just know the first one I would grab would be babydoll, but then YOUR FACE SWATCHES gah you looks so lovely in all the shades girl! i love this whole thread in general. DO ITTTTTTT. I mean, the blushes are really nice, but I'm not too sure about their other stuff (heard their mascaras were good though idk). 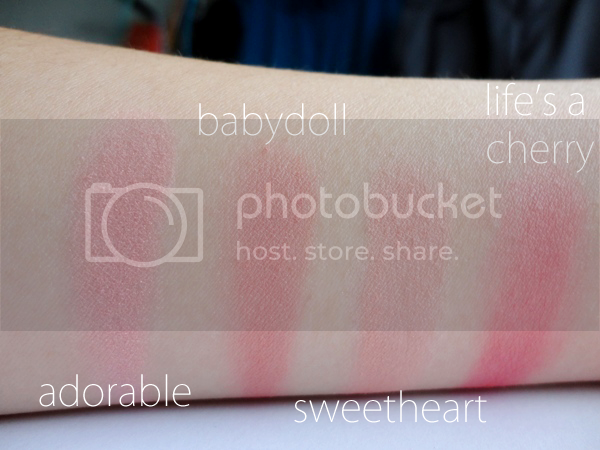 This range of blushes are really affordable! I don't think we get this brand in the US though boo! I get paranoid about over applying my blush sometimes and I actually use the same trick as you to blend down the color. They really are! They do carry Essence at Ulta/Walgreens! WE R KITTY CATS, HEHE. I love that baby doll shade! Nice Halloween decorated desk! Try the physician's formula hapy booster blush! It's one of my favs. Thank you soooo much! I will try not to freak out to much about my high school choice ;) Xoxox! ok...the depotting fingers are itching to get my hands on one or two of these. lol im' so glad you can get blush for such a good price b/w these, nyx, and wet n wild i think must blush lusts can be fulfilled. It's lucky you didn't give up on Essence after the dissapointing experience with the eyeliner! Yeah, I'm glad I didn't give up either because they have amazing products! PICK THEM BOTH UP!!! They were only $3CDN, so they're bound to be cheaper where you live! hehe looks really nice on you!!! really like "babydoll" and "life's a cherry"!!! Great post! 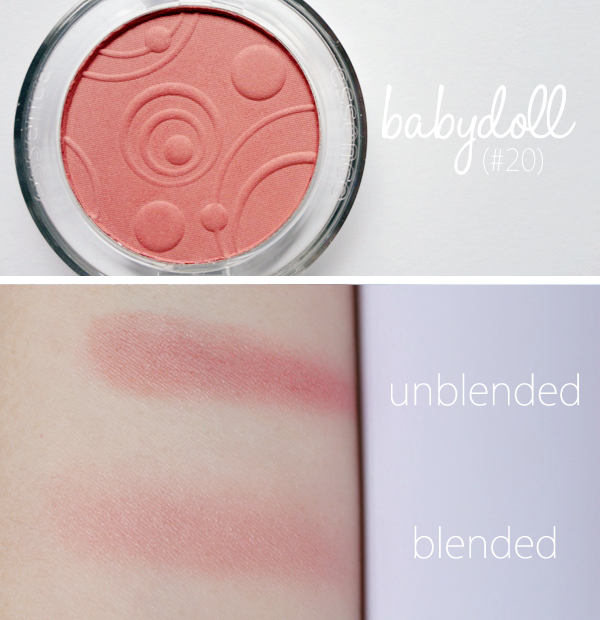 These blushes look amazing! 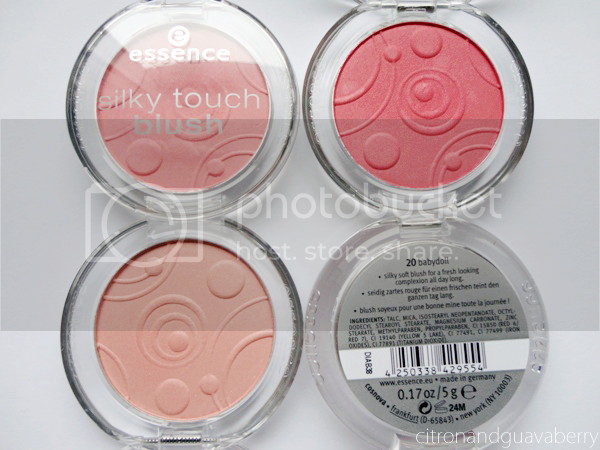 I've never tried Essence blush before, but now I want to! 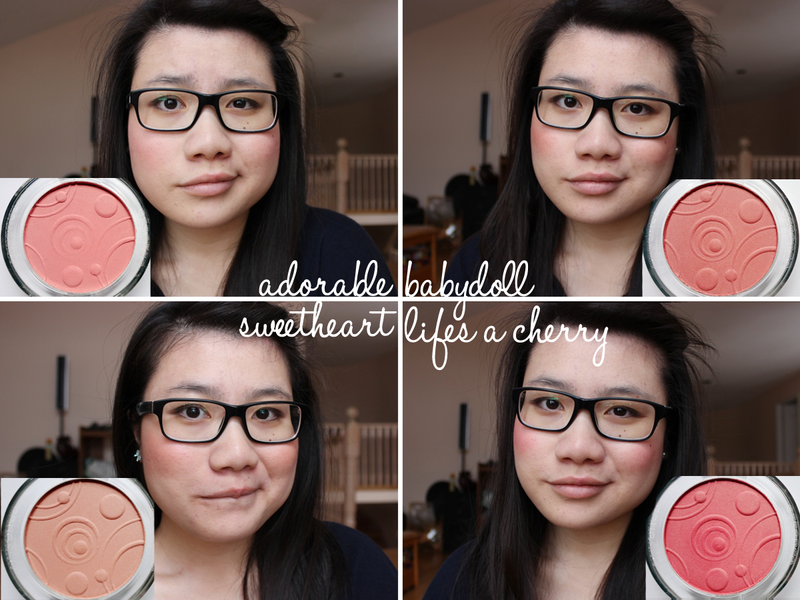 Adorable and Life's a Cherry might be my 2 faves of the bunch. I love how you do the TL;DR section. It made me laugh. I'd love to! I'll go check it out now! These look awesome! 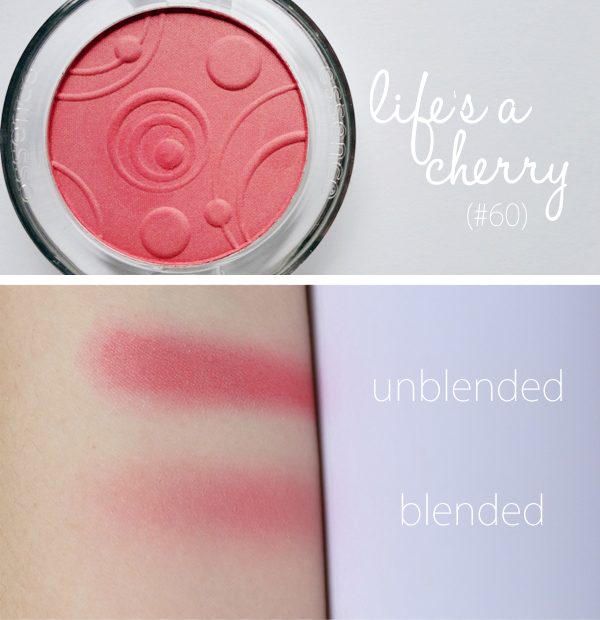 Thanks for sharing :) Lifes a Cherry is my fave of the bunch! 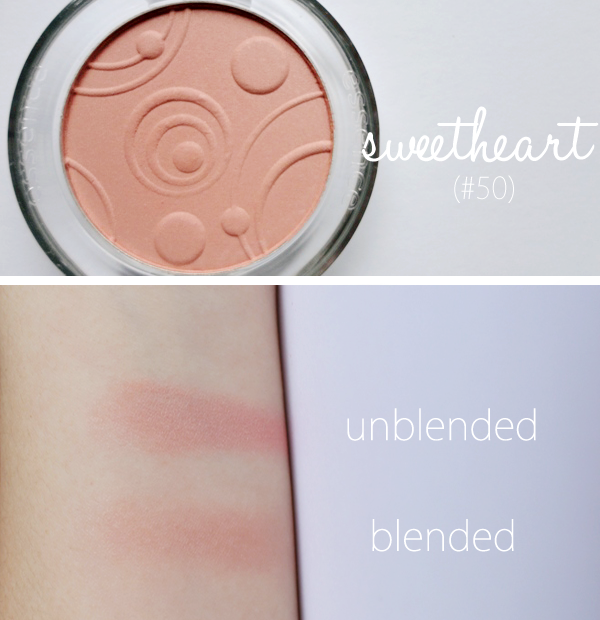 I would run out and grab these blushes in different shades just like you too! They are so cheap and the name silky touch is enough to tantalize my "tastebuds'. Hmm but you mentioned shimmer. I usually go for non shimmers but heck, these are so cute and cheap. I'm way late to the party on these, but I've been wearing Adorable every day all month, and I absolutely love it to pieces. So soft and easy to apply, and very natural looking.